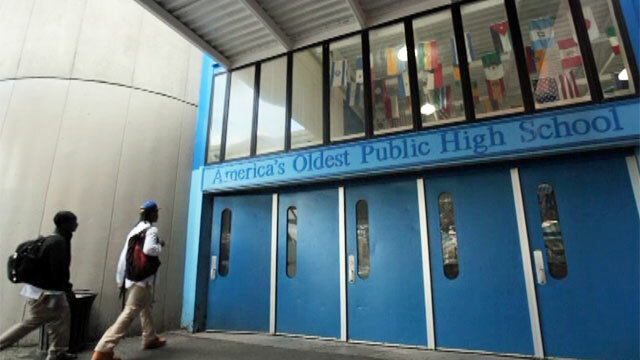 A documentary film premiering on public television today -- "Is School Enough?" -- takes the viewer inside the lives of teens from various backgrounds and reveals the importance of tapping into students' passions to drive their learning. These are some of the covered topics. Students at English High School in Boston helped pilot a social networking and planning tool called Community Planit. The online platform offers participants a series of missions, problems to solve and questions to answer about how the school district could improve and meet student needs better. As a player completes missions, he receives tokens to spend on the priorities he’d most like to see in school. The information and feedback then goes back to the district. “I’m always trying to keep my ear to the ground to get my kids involved with meaningful projects,” said Xavier Rozas, instruction technology coordinator at English High School. But student soon moved from complying with a homework assignment to logging in on their free time and racking up tokens. The students dominated the game, soliciting the participation of other students, faculty and staff and even helping to facilitate citywide town hall meetings on setting the district’s priorities. They were even asked to meet with the district superintendent to share their ideas. Rosas thought his students would be intimidated by the invitation, but they’d gained so much self-esteem through the project they were excited to engage with the leadership about their ideas. In fact, the English High School students’ engagement with Community Planit was crucial to its success as a planning tool for the district. “Students were the ones being creative with this game,” said Eric Gordon, associate professor of visual and media arts at Emerson College. “They were the ones uploading interesting images and using YouTube and being playful with their responses and knowing intuitively how to operate in this realm.” They modeled how to use digital media to bring in community perspectives and spread the word about the project, helping excite others to participate. A crucial part of Community Planet’s success was providing an authentic audience for the student’s work. After adults ask students to engage in meaningful ways around real problems they have to listen and respond. Goldstein originally looked at taking online classes to satisfy her high school degree thinking that would free up her time for the things she was really passionate about. But when she researched online programs, they often required even more time than physical school. "The number one problem with school is they’re not facing up to the problem of relevance." Instead, Goldstein began a self-directed learning program relying on support and guidance from the Thompson School District Innovation Lab, an organization designed around the idea of “permissive learning,” letting student passions drive their work. Goldstein knew she was interested in alternative medicine. She became the youngest yoga instructor in the country, keeping three blogs documenting her learning journey, including one that offers tips from a healthy teen. She met with mentors in her field of interest and used them to help guide her course of study, which remained largely independent. Since Goldstein’s schooling was no longer confined to the walls of a school building she let her ambition and passion run wild and sought mentors throughout the country, conferencing with them through video chats. Ultimately, she put together a business plan to travel to India to study the spiritual, nutritional and cultural components of naturopathic healing with the ultimate goal of writing a book. She learned how to write a business plan, mapped out her cash flow and discussed travel considerations with people had been to India. “There’s no better time to learn something than when you intend to learn it,” said Michael Wesch, associate professor of cultural anthropology at Kansas State University. “Whereas in school it’s kind of backwards, you’re forced to learn something.” Goldstein followed her passions far beyond what she might have learned in traditional school and because she was interested and engaged with her learning it felt fun and exciting. “The number one problem with school is they’re not facing up to the problem of relevance,” Wesch said. In a connected world, the teacher’s job is to help students discover a relevant problem to engage with and connect them to the many resource communities and mentors that have become accessible through the internet. “Once you do that you can sort of just take the shackles off and let them run because they start feeling their way through this knowledge machine that’s all around them,” Wesch said. The Harry Potter Alliance (HPA) is an organization almost entirely based on online interactions. It uses parallels in J.K. Rowling famous books to inspire young fans to become “heroes” in their own world. The project has media and literacy researchers excited partly because it started organically as a Facebook group and became international in a matter of hours. For example, the Alliance decided to pressure Warner Brothers, which owns the rights to Harry Potter, to make fair trade chocolate products. Harry Potter fans around the country sent video “howlers”-- a modification of the screaming messages in the Potter books -- to Warner Brothers telling them to change their labor practices. Young fans took inspiration from Hermione Granger’s campaign to better the working conditions of house elves and Professor Dumbledore’s admonition that people should always do what is right, not what is easy. One student participant, Abby Larus, became involved with the HPA when she was only 13 and rose to lead a chapter before she left high school. She planned campaigns with other organizers, collaborated with her peers on formal letters to Warner Brothers and organized events like the howler campaign in her local area. Her parents were concerned that she was wasting time on the internet or even worse, meeting strange people. But for Abby, participating in something meaningful grounded her learning. The stories in “Is School Enough?” suggest that traditional school often doesn’t give students enough of an explanation for why they are learning. “In America, in urban public schools in particular, our kids are being asked to learn things in a bubble,” said Rozas, the English High School teacher in Boston. Without that sense of a meaningful mission, students lose perspective of why they're in school. The main gist of the documentary: By broadening the definition of learning, allowing more than standards to rule the classroom, students might learn skills that will stick with them for a lifetime. Find out when "Is School Enough?" airs on your local PBS station.